Here in Chicago, more than 200 insurtechs, brokers, carriers, students, consultants and venture capitalists are gathering to discuss how emerging technology can enable business processes, while at the same time evolving the inherent nature of risk. From the internet of things (IoT) and telematics, to blockchain and artificial intelligence (AI), the transfer of real-time data can be used to mitigate risk and drastically cut costs across the insurance value chain. But as a wise man once said, with great power comes great responsibility. 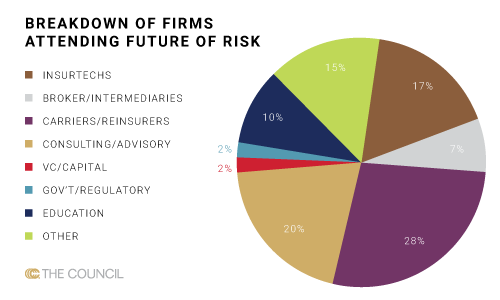 While technology presents itself as a ripe opportunity for brokers and risk managers, a constantly evolving risk landscape lacking sufficient historical data can be a very difficult risk to insure, at least for profit. In a world that’s rapidly changing, insurers and brokers alike need to understand modern risk and how to adapt to a changing industry.